Interested in becoming involved in local government? The Township Board of Supervisors relies on citizen volunteers to serve to support the Board through participation in a variety of Authorities, Boards and Commissions (ABCs). The Board of Supervisors appoints citizen volunteers to serve on the Planning Commission, Open Space Preservation Board, Parks & Recreation Board, Zoning Hearing Board and Schlow Library Representative to name a few. Current List of ABC openings in Halfmoon Township. Term length and time commitments vary by ABC. Click on the links below for more information on each ABC. If interested, please contact Susan Steele at manager@halfmoontwp.us or Amy Smith at townshipclerk@halmoontwp.us. 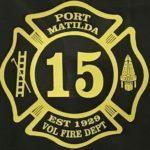 Other volunteer opportunities involve Local Emergency Services such as the Port Matilda EMS and Port Matilda Fire Company. 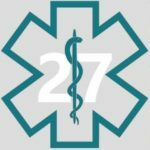 Click on the respected logo below to visit their websites to see what volunteer opportunities they currently have available.